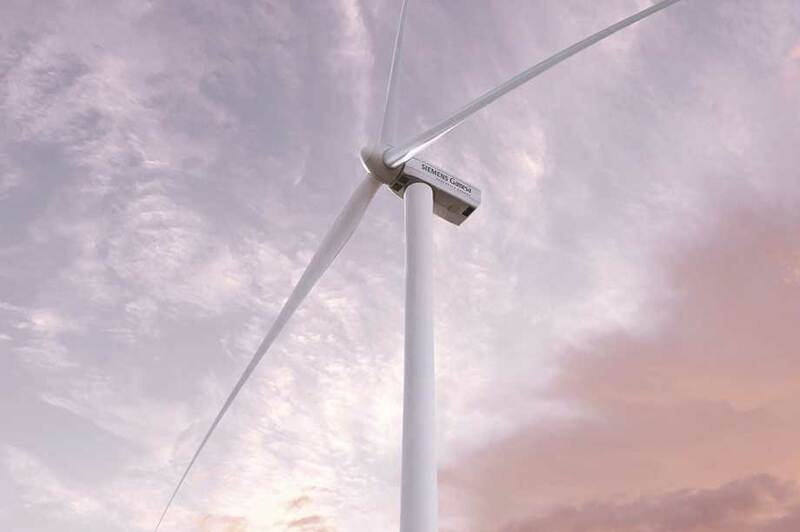 The new platform currently comprises two turbine models, both rated at 5.8MW and with rotor diameters of 155 metres and 170 metres. SGRE claimed the models increases annual energy production (AEP) by 20% and 32%, respectively, when compared to the company's 4.5-145 turbine. A prototype for the 5.8-155 is expected to be installed in mid-2020, with the 5.8-170 following in Q3 2020. The company's CEO, Markus Tacke, introduced the turbine to a gathering of journalists at the WindEurope 2019 conference and exhibition in Bilbao (2-4 April). It comes on the second anniversary of the merged OEM. "We are proud to achieve this very shortly after the merger," Tacke said. 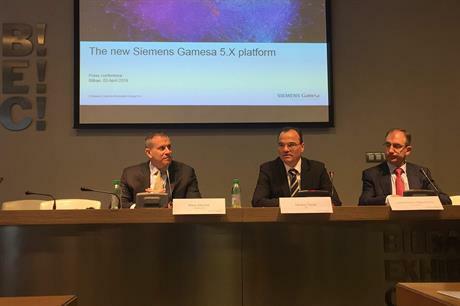 "It is the first truly Siemens Gamesa turbine," he added. SGRE onshore wind and servicing CEO Mark Albenze added the turbine will be available with tower heights of up to 165 metres. "We expect to build on this modular design in the future," Albenze said. The company is already in talks with an unnamed developer in northern Europe over a supply deal for the new platform, Albenze added. The long blades will continue to be produced in as a single piece, he said, but did not rule our a split-blade approach for the blades of the 170-metre rotor variant. "Modularity is a key concept from the industry. We've seen it in many other industries. We have applied it in our earlier machines and continue to evolve it," said Tacke. SGRE is the latest OEM to move in to the 5MW space, following similar launches by Vestas, GE Renewable Energy, Nordex and the suggestion of one from Enercon.